Dynacord’s L Series power amplifiers are engineered to provide sound reinforcement for demanding live music applications. They are ideal for performing musicians and production companies providing sound reinforcement for live performances in venues like music clubs, community hall events, performance centers, and sports venues. 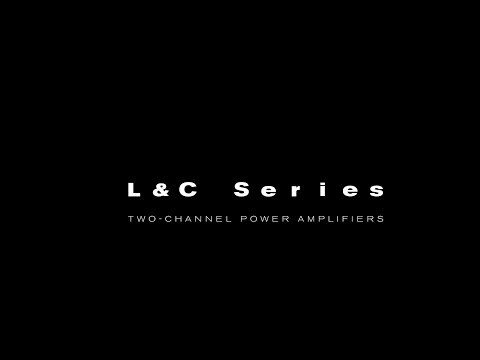 The L Series power amplifiers comprise a powerful linear amp design with a best in class, tour grade feature set that brings real professional performance to a new, more accessible price point. Like all Dynacord amplifiers, the L series offers high quality components and truly professional processing power and performance characteristics. Their engineering and applied technologies enable exceptional sound quality with plenty of headroom. Equipped with an extremely robust power supply and a powerful, linear amp design, flawless operation is guaranteed even in the most demanding environments. A sophisticated protection circuitry ensures safe, reliable operation under all conditions. An onboard DSP includes multi band PEQs, crossovers, limiters, and delay per channel. It also has true channel grouping control with extra DSP capabilities like PEQ, GEQ and delay for each group. L Series are also equipped with advanced FIR-Drive, a premium feature normally reserved for the highest quality tour grade DSPs. It optimizes original factory loudspeaker settings, yielding a level of performance unheard of at this price point. Four different models are available, with total output power ranging from 1300 W to 3600 W at 4 ohms.